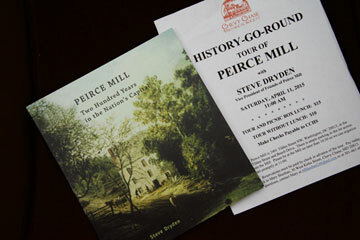 The Friends of Peirce Mill (FOPM) was formed in 1997 by Richard Abbott, a former docent at the mill, when it became apparent the National Park Service didn’t have the funds to restore the mill. The non-profit “Friends” concept was one that had worked at other historic and natural sites around the country, bringing volunteers, private contributions, and corporate/foundation funds together in support of a valued public resource. 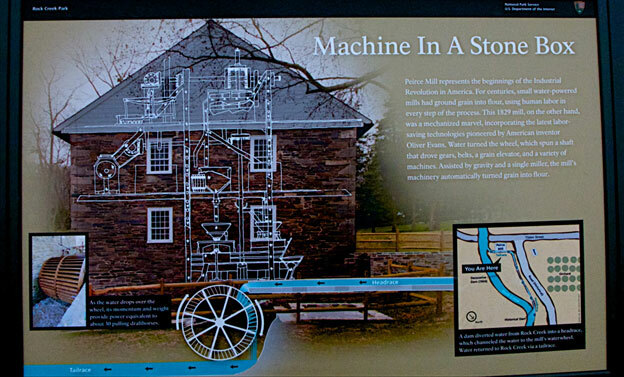 FOPM began with a vision of reviving Peirce Mill as a living exhibit of water-powered milling and example of 19th century agriculture and industry in Washington D.C. The first steps involved working with the National Park Service and Quinn Evans Architects to complete a detailed report on the historic site. That report included approaches for the building and site that served as a guide in defining the preservation and development work to restore and adapt this property as an authentic demonstration museum for visitors. The Friends of Peirce Mill raised over $1 million through donations and grants, which leveraged an additional $2 million from the Obama Administration’s economic stimulus program (the American Recovery and Reinvestment Act, or ARRA) to complete the restoration. 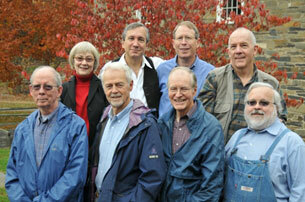 front row left to right: Tom Blackburn, Richard Abbott (Pres. ), David Lyman, Philip Gaudette. Back row, L to R, Sheila Ploger (Sec./Treas. ), Steve Dryden (VP), Ken Faulstich and Adam Sieminski. 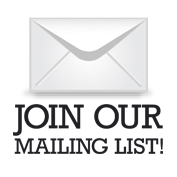 Today, the Friends co-manage the mill with the National Park Service, raising new money, developing innovative programs, and promoting awareness of the importance of preserving this unique resource. Re-Opening the mill – Peirce Mill re-opened on October 15, 2011, milling grain for the first time in 18 years. Before the millwheel shaft split apart in 1993, the mill had informed generations of Washingtonians about early American technology and the agrarian past of the Nation’s Capital. The restoration project represents a new era: for the first time, a public-private partnership took responsibility for repairing, and is now managing a major destination within Rock Creek Park. Peirce Orchard – As early as 1814, the family advertised in Washington newspapers that it had 20,000 apple trees for sale. Linnaean Hill, the nursery founded by Joshua Peirce (1795–1869), was a major supplier of plants to landscapers in the city’s early days. 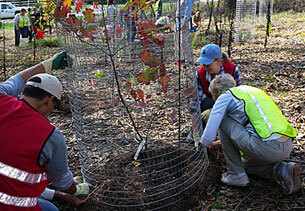 Working with Casey Trees, FOPM has planted two dozen apple and pear trees behind the Peirce Barn to create a demonstration orchard that recalls the large nursery that once existed at Peirce Plantation. In partnership with the National Park Service, FOPM will use the orchard to teach schoolchildren about horticulture and history, and the nutritional benefits of fruit as well as whole grains. The Peirce orchard today is a small re-creation of the extensive fruit growing and nursery operations of the Peirce family. Barrel Hoist Restoration – One of the major hurdles to efficiency and automation in early grist mills was the time and manpower needed to move grain and meal between the various machines in a mill. The conveyor belt and cup system inventor Oliver Evans created could move the grain to key places in the mill, but there were times when the miller needed to move grain or meal without sending it through the entire system. Thus the need for a device to move heavy loads up and down the mill, a role filled before by strong men or, at best, a pulley system. The barrel hoist connects to and is powered by the main shaft and can be activated and deactivated independent of the grinding function of the mill. 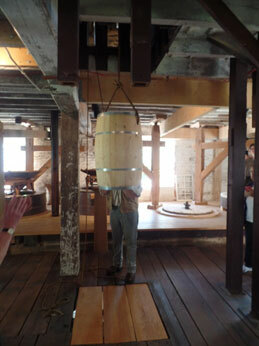 At right, Park Ranger and miller Jeanne Minor demonstrates operation of the hoist that was used to lift flour and grain through the 4 floors of the mill using water power. School Groups – Before the mill re-opened, the Friends informed local teachers about the opportunities to bring their students the mill. In the spring of 2012, classes from local elementary schools began visiting the mill to receive curriculum-based lessons from park rangers on waterpower, gravity, simple machines, and agriculture. The young learners see the millstones grind corn into meal, and operate hand-cranked model milling machines to better understand the process. By the spring of 2016, the mill had hosted almost 2,000 students. In 2015 FOPM was awarded $8,000 from the National Park Foundation’s “Ticket To Ride” program to pay for bus transportation for DC students to visit the mill. Rock Creek Park education specialist Maggie Zadorozny leads students in exploring the Peirce Mill area. Events – Besides processing a crucial foodstuff, a mill typically served as a kind of community center, where all kinds of goods and services could be exchanged. 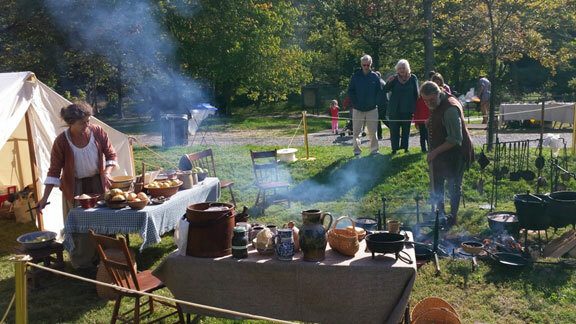 Each year the Friends sponsor events such as Heritage Day that re-create the atmosphere of this 19th century community. Demonstrations of log hewing and blacksmithing, performances of period roots music, and cider pressing are just some of the activities that are enjoyed at the mill. Arts and Crafts – In 2015 we hired an educational specialist to develop and offer free family programs. The family workshops included hands-on projects related to milling, traditional crafts, and food production. Although milling may not immediately come to mind when thinking of activities for pre-schoolers, they love watching the mill wheels turn. Unlike most modern technologies, the mill is a machine even the very young can appreciate and understand! Outreach – Although located in the heart of Rock Creek Park, Peirce Mill remains unknown to many city residents as well as visitors to the Nation’s Capital. FOPM and the Park Service have created new interpretive signage, enlarged existing exhibits, and welcomed numerous groups for a first-time tour.